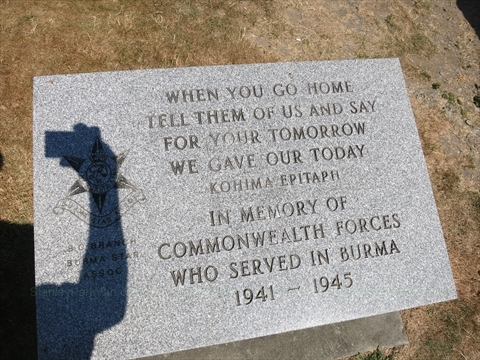 The Burma Forces Cairn commemorates the Commonwealth Forces who served in Burma during World War II. 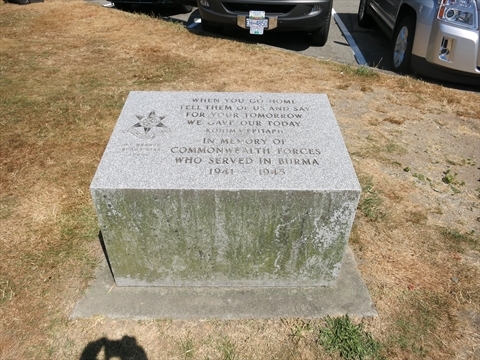 On the left of the enscription is the logo fo the BC Branch Burma Star Association. Where is the Burma Forces Cairn in Stanley Park? The Burma Forces Cairn in Stanley Park is located at Ferguson Point on the left of the clearing when looking west. The Teahouse Restaurant is also at Ferguson Point. Nearby is the E. Pauline Johnson Memorial and Third Beach.